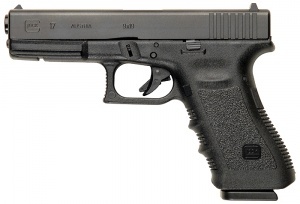 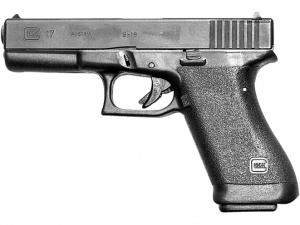 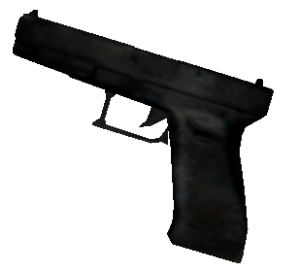 Not an in-game weapon, but the 1st generation Glock 17 is seen in a few cutscenes from the movie "The Introduction" (a movie released shortly after the game, to explain what happened before CJ came back to Los Santos). 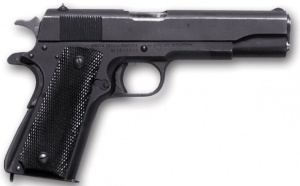 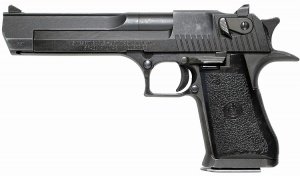 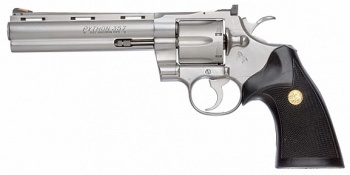 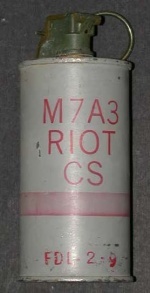 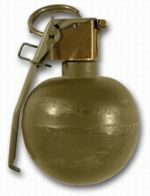 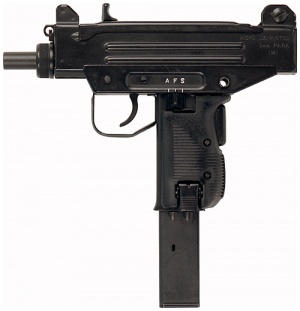 It is used by CJ himself to rob a pedestrian in Liberty City, by Salvatore Leone (Frank Vincent) to threaten Ken Rosenberg (William Fichtner), and by Officer Jimmy Hernandez to kill Officer Ralph Pendelbury. 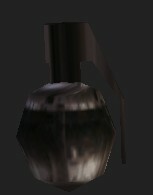 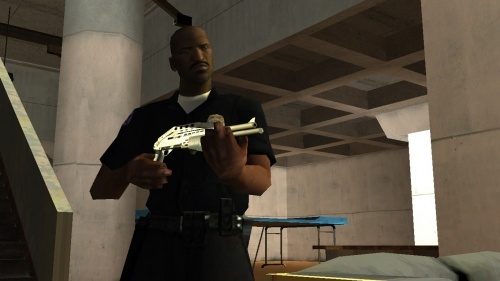 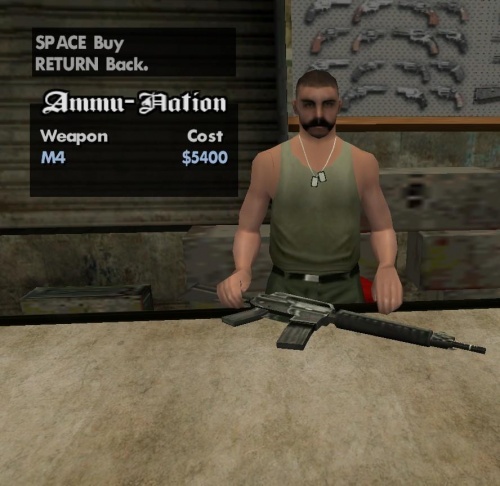 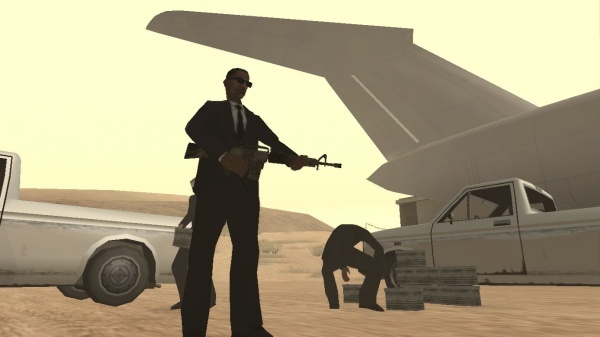 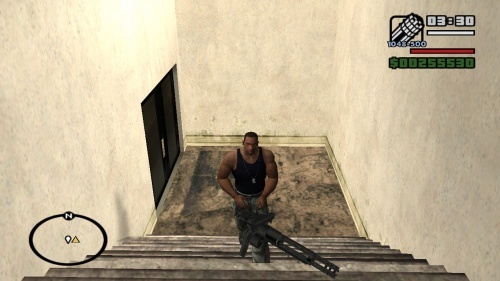 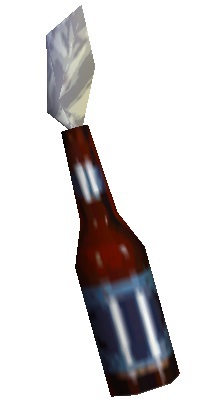 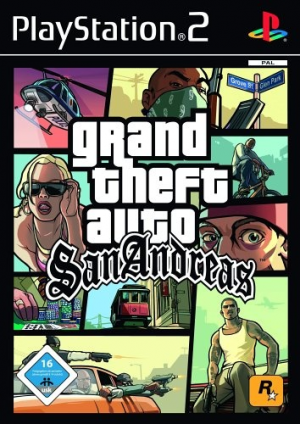 In the actual game, it is used by Officers Hernandez and Eddie Pulaski in the beginning cutscene of the game, by Mike Toreno when he first meets CJ, by CJ himself in the Home Coming mission, and by CJ, Sweet, and Cesar in the final cutscene of the game. 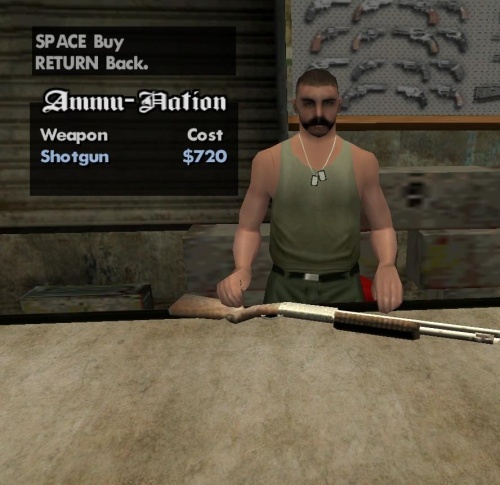 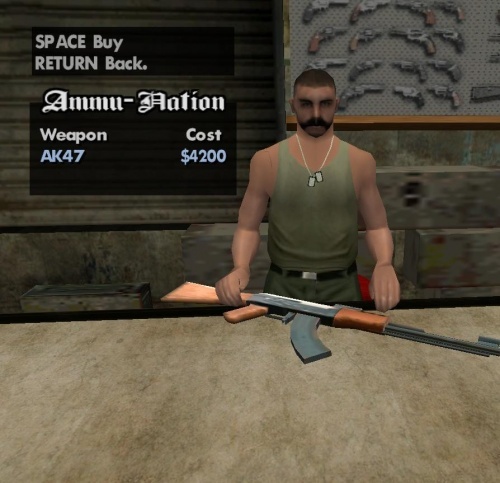 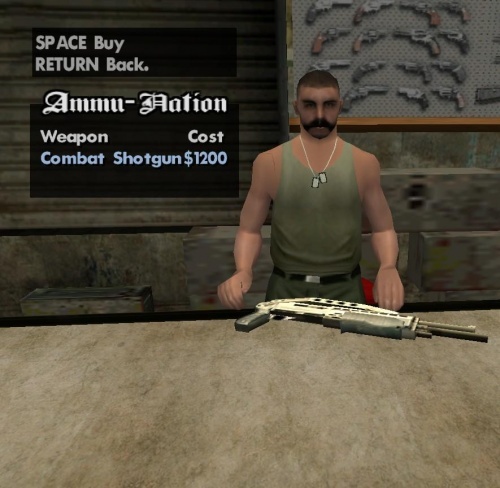 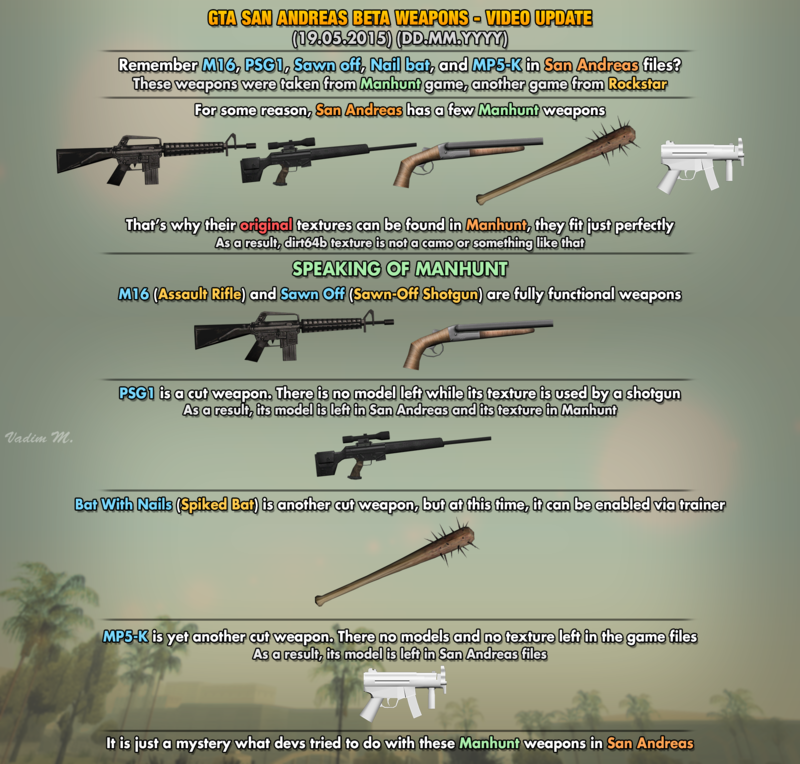 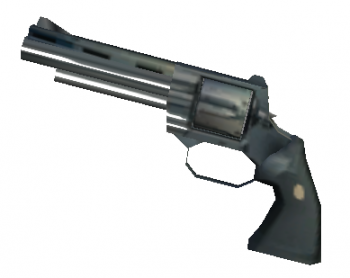 In addition to the Colt Commando, the game's files contain several other weapons from Manhunt, that are not used anywhere: . 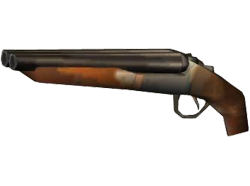 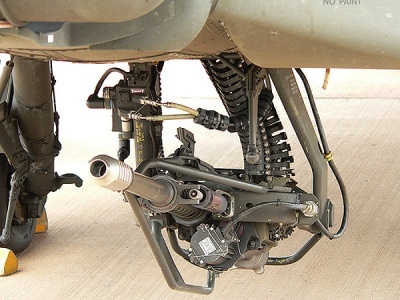 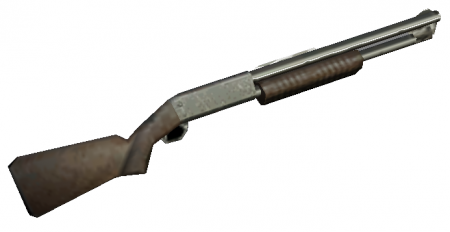 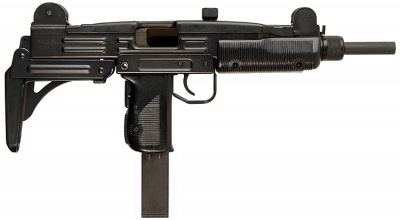 They include a double-barrel sawed-off shotgun and PSG-1. 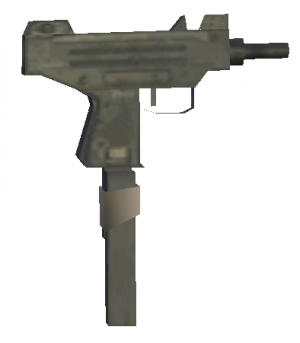 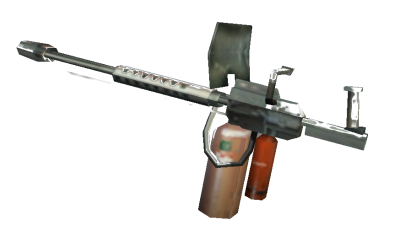 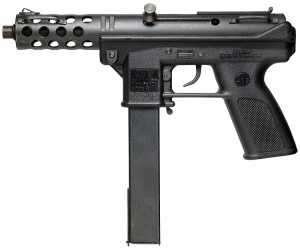 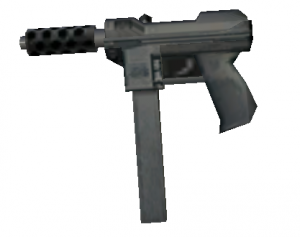 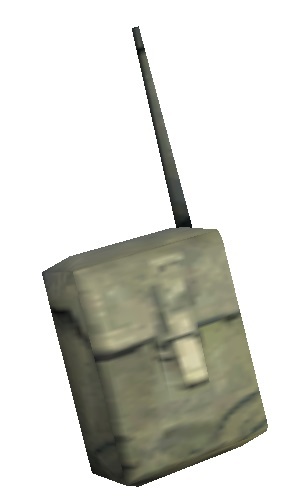 Also there is an MP5K model (not the same as in the beta of VC). 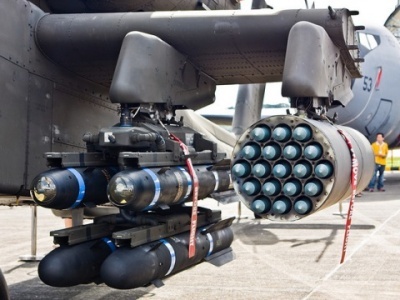 It is not known exactly for what purpose these weapons were planned, whether it was to replace the existing guns, or something else.